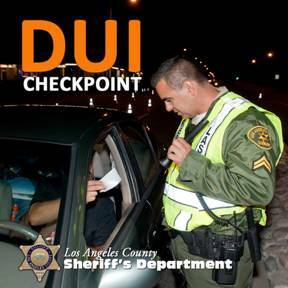 PALMDALE – The Los Angeles County Sheriff’s Department’s Traffic Services Detail will be conducting a DUI/driver’s license checkpoint at an undisclosed location in Palmdale this Friday, Sept. 14, between the hours of 6 p.m. and 2 a.m., authorities announced. Motorists caught driving impaired can expect the impact of a DUI arrest to be upwards of $13,500. This includes fines, fees, DUI classes, license suspension and other expenses, as well as jail time.